Several years ago, a friend was visiting my home for the first time and she commented that it reminded her of Ballard Designs catalog. At the time, I had never even heard of Ballard Designs (shame on me). Today however, it's one of my favorite retailers. It's very much my style and I realize now what a compliment that was. They have an excellent mix of homey items with a cottage vibe plus lots of custom upholstered pieces and accessories with that "collected over time" look. I also like the fact that it's a southern company based in Atlanta, GA.
On a recent trip to Atlanta I had a chance to visit one of the Ballard's Backroom locations, one of my favs. On one side of the store is the outlet merchandise, and on the other the regular retail items are available. Outside of the good deals I typically find, one of the best things about the store is the merchandising. I love how well they do displays. I own one of these dining chairs (I use it as a desk chair) and I love it. Just goes to show you that you don't need to buy a dining set. In fact, for a designer look, I encourage you not to. How many times have I passed baskets like these at yard sales and Goodwill. Hind site is 20/20? I won't pass them up again. We all know how I love a sunburst mirror, but I never thought of hanging one above a set of paintings. I could totally see that in a room with high ceilings. Ok, I'm not really feeling the duck, but the burlap covered vases are cool. So what did I get? 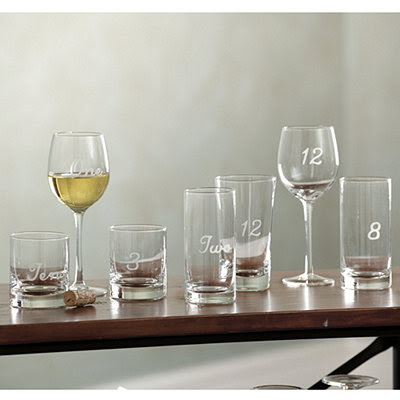 Well, I've been stalking these numbered glasses for months. So, if you haven't checked out Ballard's, I'd highly suggest it. Hey, I found the comment area! 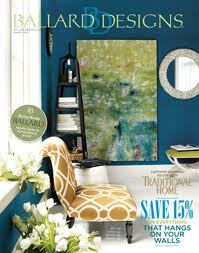 I get Ballard Designs catalogue but have been afraid to order something, but no more!